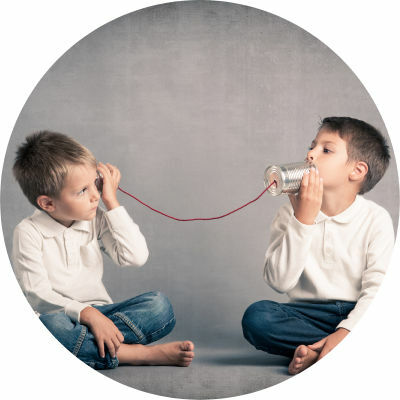 Communicating…it all starts in the womb! Many mums can feel their babies in the early stages of pregnancy. Babies move about and communicate in many ways, even if we can’t make sense of it. For example by kicking, pulling, and pushing. With the amazing advances in science and ultrasound 3D scans, the full extent of this miraculous journey that was once a complete taboo can now be revealed in real-time. Our emotions and the deep connections are created at a very young age. The umbilical cord is not only a source of physical nourishment but also an emotional and spiritual connection, and this is significant in relation to the expression “cutting the physical and spiritual energetic cords”. All the experiences that the mother has the baby will experience too, but amplified. The reason is very simple: a baby is energetically charged and his/her energy is strong and vibrating powerfully at a high frequency, the connection with the source of life is pure and unstained. It is very important from the moment parents find out they are pregnant, to be aware of these factors. Yes, you did hear me right – “They are pregnant” as it takes two to tango. In the process of creating a baby, it is very important that both parents are fully emotionally engaged in the pregnancy and the emotional development of their unborn child, as the link of communication is already wide open and flowing at this stage. I remember sharing with one of my clients who was pregnant an incredible experience I had with my son Thomas, whilst I was pregnant with him. Thomas was a miracle baby! Every time I fell pregnant, I did what most pregnant women do: go straight to the doctor, take good care of myself and watch what I was eating. Ante-natal care was the priority. This last pregnancy was different. I had this urge to communicate with my baby, so I started speaking to my belly, rubbing it and letting my child know how much he/she was wanted. By week 14 of the pregnancy, I started feeling butterflies in my belly every time I was speaking or singing lullabies. Having been pregnant before and not experiencing this happening at such an early stage, I thought I was going loopy. Weeks went by and it continued even more strongly. At one point by month six, there was an advert on television with a song, and it was very strange: the moment my baby heard that tune he would go crazy inside my belly. He would kick and pull, and I would feel sick to my core. The only way to calm him down was to rub my belly and sing a soft song to him. The irony of it was, the words of the song were “I’m sticking with you because I’m made of glue” Clearly, he did not like that track at all. I looked at my husband, and my husband looked at me in shock, as we had never played that song since he had been born, so the reaction that my son had to it was incredible. My point here is this: yes, children can and do listen and feel from the early stages while still in the womb. So, creating from the start of a pregnancy a positive channel of communication is imperative for the child’s future. Early years can be very frustrating for parents as the only way you think your child will be able to communicate with you is by crying, and some children have quite a good pair of lungs. However, the fact is that as humans we have different ways of communicating with each other no matter our age, and again I’ll reinforce what I’ve said in previous articles: we copy from a very young age the behaviours we have experienced or seen displayed by our parents. Letting children express themselves freely is a top priority! Yes, children will tell you how it is in their truth because they have no malice running through them. It is us adults that at times don’t want to hear the truth. As one of my guides said: “Truth is like surgery: it hurts, but it will heal your soul”. To teach children how to tell one’s truth in a loving way is an art that many are unable to master as in their own early foundation years, it was not present. Many who are now adults were completely shut down from speaking as children and punished physically, emotionally and verbally, leaving them with emotional scars to this day that many may not heal from. The ability and the impact of being able to express oneself openly and from the heart is something so very simple and empowering. Let me give you an example. Let us imagine for one moment that you have arranged a night out with your friends, and one of them had one of those days where the mirror is not functioning very well. They don’t look as good as they normally do and what they are wearing is not in any way shape or form representing who they are. How difficult is it for you as a true friend, in a gentle and kind way to let them know? The truth is many people choose not to do so and then the drama starts, issues come to the surface and so on. I’m sure you’re getting the picture now. At any given time, we can all choose to change our patterns of communication, and the easy way to start is by doing a full self-assessment. For sure it’s a challenge for many to accept the deep realisation that their communication skills are poor and ineffective and are not bearing fruit, but it’s better late than never. As mentioned before, I would remind everyone that it takes 21 days for the brain to deprogram and reprogram behaviours. What is 21 days of effort in comparison to a lifetime of unspoken words, untruths, miscommunications and full-on drama much like TV soaps? The Centre of Communication – Speaking your Truth in Love and Light. Stated development: from 7 – 12 years. Some children may start to speak at a very early age and be more in tuned with themselves. This chakra is situated in the centre of our throat, it is translucent light blue in colour but may vary in from a very light blue to more of a soft turquoise shade. The throat chakra is associated with the thyroid and parathyroid, vocal cords, mouth, teeth and gums, jaw, ears and surrounding neck muscles. It is also associated with your communication skills, speaking one’s truth and in truth, self-expression and self-discipline. It is related to being able to express yourself freely and from deep within your heart while respecting your deeper emotions and what your Soul and Spirit is requiring and guiding you to do. It’s about honouring your Loving Truth! 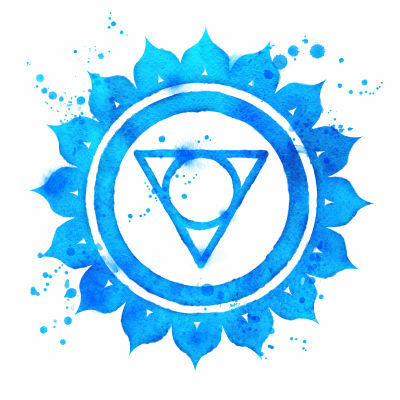 When the Throat Chakra is in the balance, it will bring to the individual very good communication skills, whether verbal or written, and a good sense of timing and rhythm. Their creativity expands and their voice is resonant and empowered. When the Throat Chakra is out of balance many illnesses are associated with this situation, such as a weak voice, difficulty of putting deep feelings into words, a raspy throat, a chronically sore throat, mouth ulcers, swollen glands, gum infections, thyroid problems, pain in the neck and shoulders, ear infections and laryngitis. For those who talk too much or find themselves talking in a defensive tone even before they are confronted with an issue, the problem often stems from an inability to listen. For them it is easier to talk incessantly instead of listening to others. For those who suffer from traumas associated with an unbalanced Throat Chakra, issues will often surface during puberty. Examples of such issues are constant yelling, verbal abuse, telling lies that have become their “truth” (even if everyone around them sees they are lies), and secrecy. These issues are often magnified by authoritarian parents, chemically dependent family members and alcoholism. As with other inherited traits passed down from within families, these traits can also be passed down for up to five generations or more. As I’ve addressed in my previous article relating to the Heart Chakra, this chain can be broken at any point by first pinpointing the traits and then setting your intentions to change them. This means as parents, you have another chance to take control influence of the well-being of your child and your future generations. Recognising that your deep inner strength and your will is measured not by the way you exert your power over others, but by how you control yourself and your emotional being is part of self-mastery and is within your reach if you so wish. You can change patterns that you previously learned, but again it is in your hands to make that decision. No one can make it for you – “YOU HAVE FREE WILL!” You must do it yourself. When you choose to do so, there are several actions you can take to support your journey. You can start looking deeper into your communication skills and looking for the tell-tale signs. If you have difficulties in expressing your feelings to others verbally and your conversations tend to become war-like, choose instead to communicate clearly and from a loving place to them by writing the person a letter and expressing your feelings. Yes, you may feel hurt, upset, or irritated but you can choose to express those feelings in a clear way without any negativity. So clear and clean your heart first before you communicate. Do always remember no one can hurt you if you do not give him or her permission to do so. You should be able to see that you are the one that holds the power of truth in your hands. During the ages between 7 – 12 years, when this chakra primarily develops, the child will begin to explore their communication skills, and they can become very loud, hyperactive and at times very frustrated, especially with mum. They will often feel as if the are not being listened to because their vocabulary is quite restricted. It’s very important to create a bond as early as possible so that you can recognize the child’s inability to communicate verbally but can make sense from their actions, and the way they are expressing their emotions. It’s important to learn how to use your intuition and sixth sense and re-enforce communication skills during the stages of pregnancy. To support your child during this period is important, as when the Sacral, Solar Plexus and Heart Chakra are developing, these three chakras blend together. Introduce exercise into their lives. By this age, they will have some Physical Education lessons at school, however, I would advise you to arrange swimming lessons for your child, so they experience being back in “water” akin to being in the womb, with its sense of security. Many parents choose to introduce swimming to babies at a very tender age – this is fantastic if you can do it! It’s also an optimal time to bring meditation into your child’s life. It’s something that you can do as a family. Make sure that you let them know it’s time for quiet time, and that meditation is quiet time. Let them choose their posture in the first two weeks. It matters not if they choose to sit or stay on the floor. The important thing is that they learn to stay quiet in their body, mind and spirit, forming a boundary of security for later in life. By this age the food chart again plays an important part, so ensure you introduce foods associated with the Throat Chakra, namely all the “blue” foods like blueberries, grapes etc. If you or your child has health issues as described above some crystals that can support you in the healing process are Lapis Lazuli, Turquoise, Blue Sapphire, Sodalite and Blue Tourmaline. Massaging their neck area with Lavender and Patchouli essential oils can also bring major benefits, however always seek medical advice for any more serious conditions.